Walking down the supplement aisle can be so overwhelming! There are thousands of incredible supplements on the market but the majority of them should only be used to help with specific issues. On the other hand, probiotics are a supplement staple that I believe everyone can benefit from. Probiotics support the beneficial bacteria in your gut. This is the foundation for overall health and a strong immune system. Why might your gut bacteria need some help? Lack of sleep, high stress levels, exposure to toxins in the air, and an over-processed diet all lead to too much bad bacteria and not enough good. Bottom line, a modern life takes a toll on our gut health, which is why it’s important to compensate by taking a high quality probiotic. I’ve used many Genuine Health products and only have good things to say about all of them! They hold themselves to a very high standard, are always at the forefront of the latest research and only use the best ingredients. With all their supplements I’ve tried, I notice an actual difference in how I feel…this is the true test of a good product! Men and women have different needs when it comes to gut health. For example, women digest food more slowly than men and have more complaints of bloating and constipation. As well, women’s transit time is 14 hours longer than men! Although there are a lot of great probiotics geared to both men and women I see why having one specifically for us ladies can be beneficial. The more live bacteria the more potent a probiotic will be. 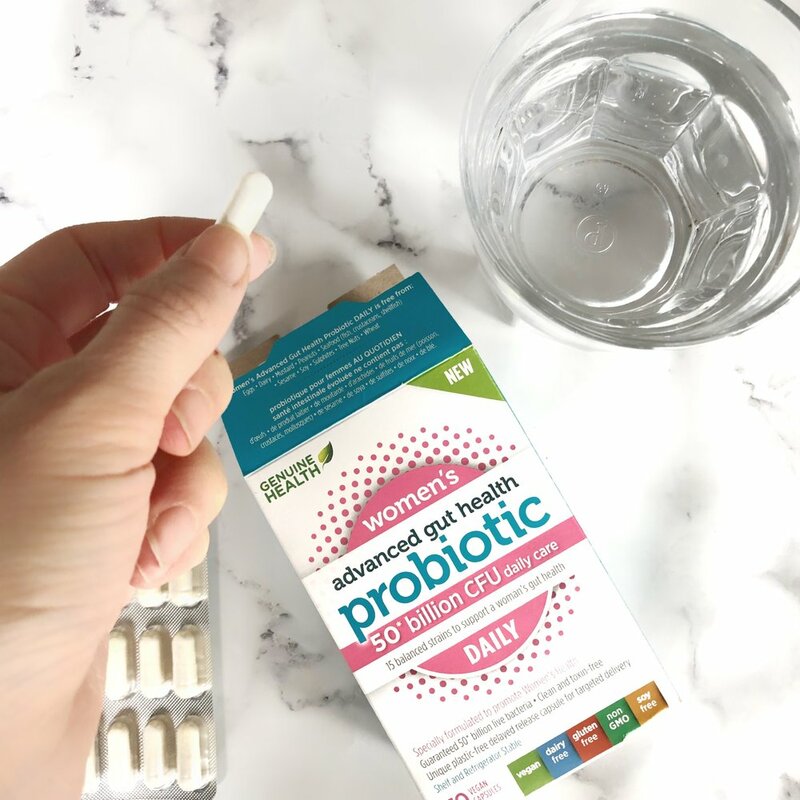 Fifty (50) billion is very high and great to use if you haven’t taken a probiotic in a while, if you’re experiencing ongoing digestive upset, going through a specifically stressful time, or after taking antibiotics. You’ll really notice a difference with this product! Having a probiotic with a wide array of strains is helpful since each strain is good for something different. Ex. One strain can helps with nutrient absorption, another helps maintain the integrity of the gut wall, another with the breakdown of complex carbs, fats, and protein so the body can use them more efficiently… and the list goes on and on! If you’re looking to help with overall gut issues it can be really difficult to know what’s causing the issue and therefore which strain you need – so a wide array is the way to go! Having a delayed-release capsule can deliver up to 10x the bacteria to the gut. With these probiotics they really make sure all the goods are getting to the right place for optimum effectiveness. Having shelf-stable probiotics are great! Shelf stable means there’s no refrigeration necessary. This helps you to be compliant, which is how you’ll have the best results! You can take them with you when you travel, keep them in your desk at work, or leave them in your purse. What can you expect by adding a probiotic to your daily routine? Overall it’s safe to say I love this product and would highly recommend it!